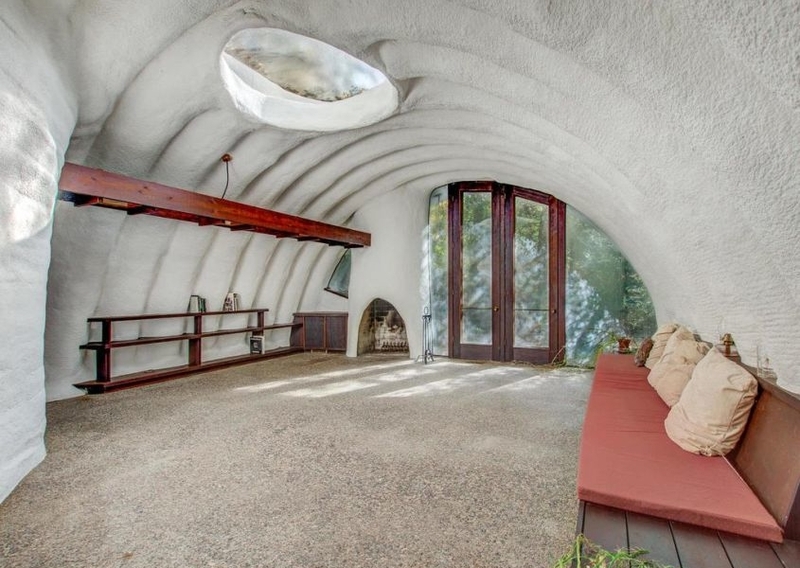 Even if you are not a hobbit, you can enjoy the benefits of an earth-sheltered home. 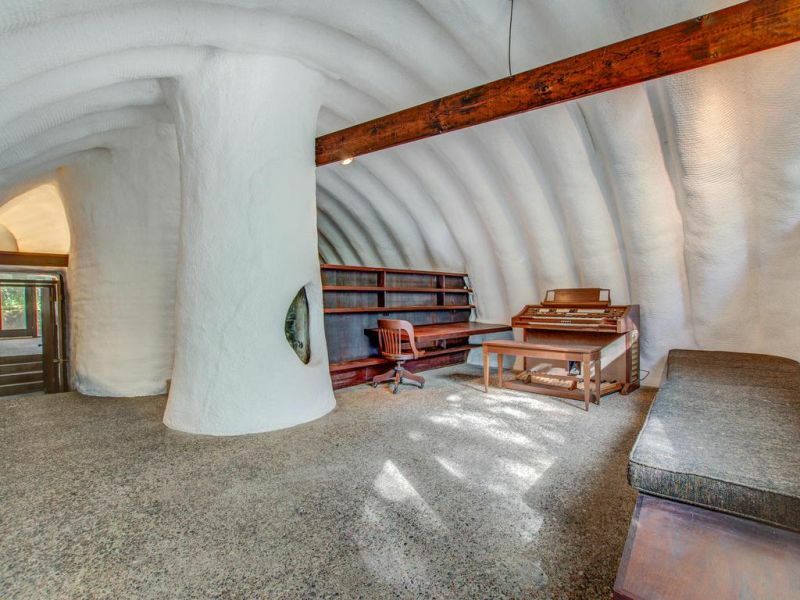 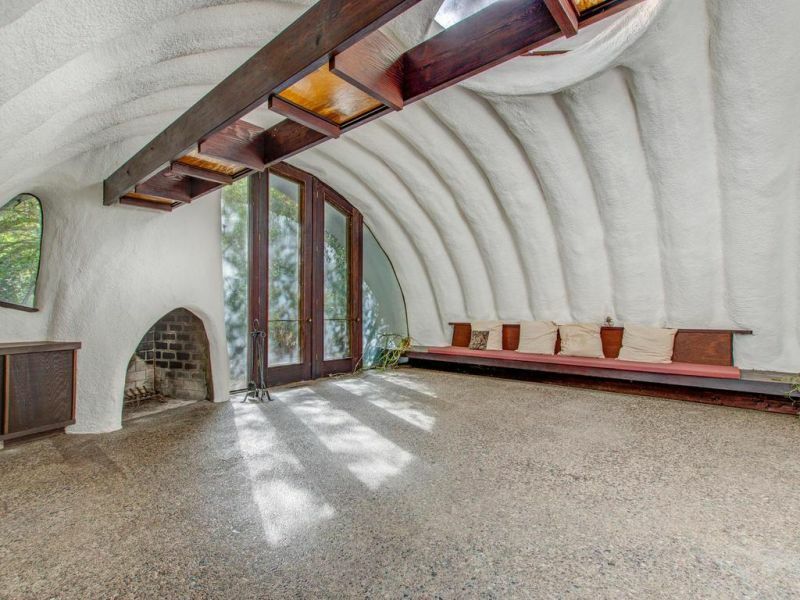 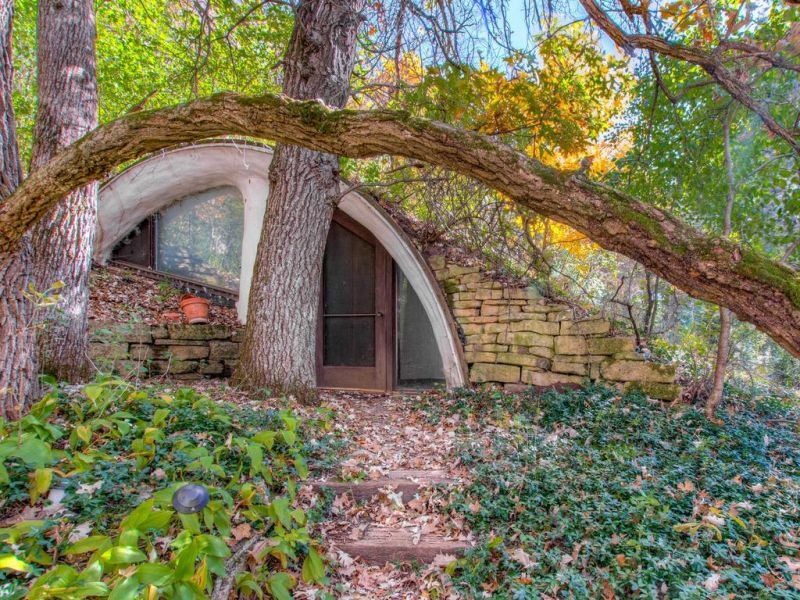 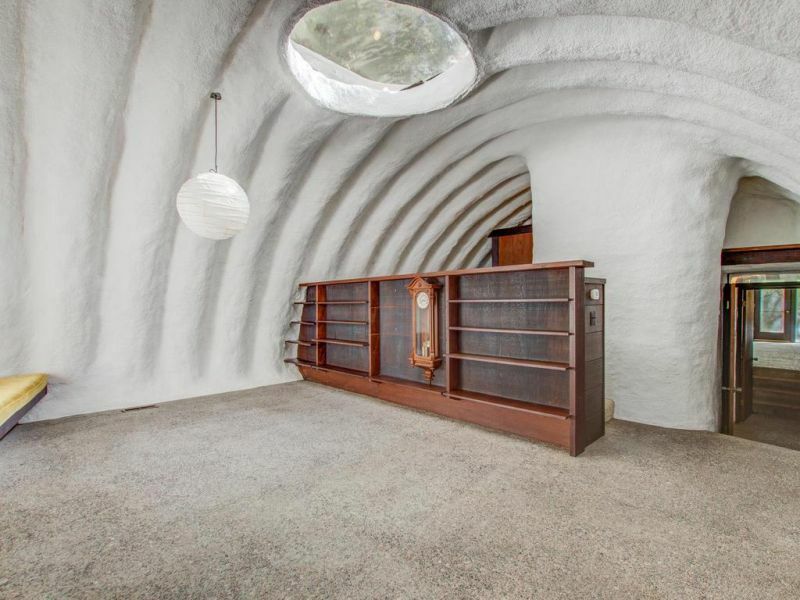 If you have a knack for homes tucked underground, here’s your chance to own one and live like a hobbit. 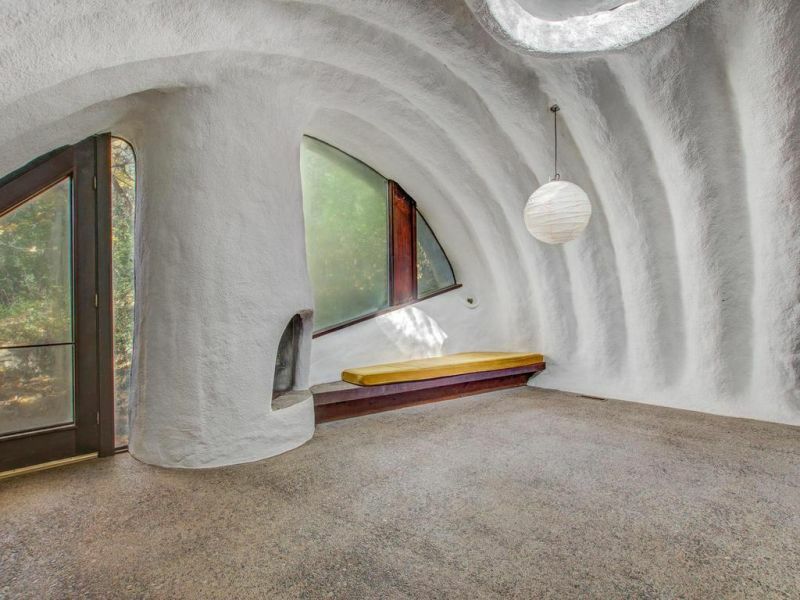 Located in River Falls, Wisconsin, this earth berm house is designed by the architect Mike McGuire, and built by Pat Clark and Emogene Nelson, professors in the University of Wisconsin, as an energy-efficient private home during the energy crisis in the 1970s. 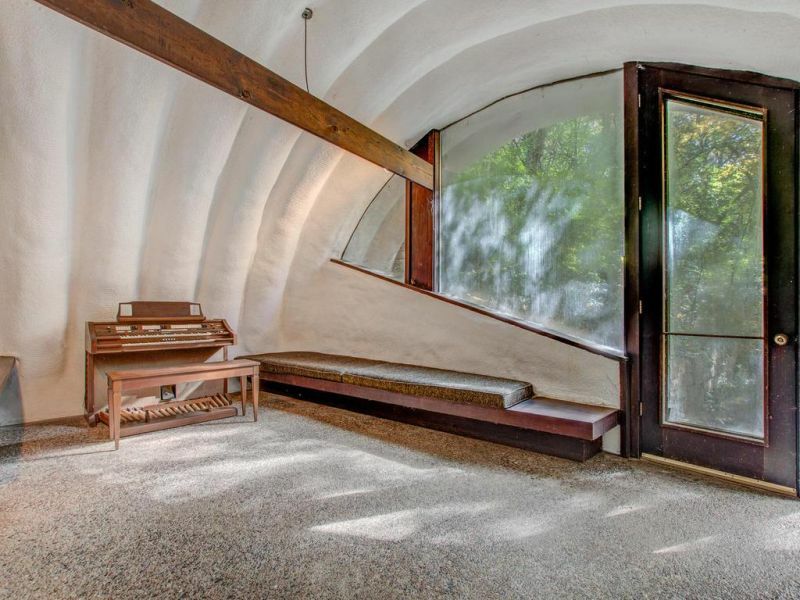 This 2236-square-foot, multilevel house, consists of two arched steel shells set in concrete, connected by a hallway and a staircase. 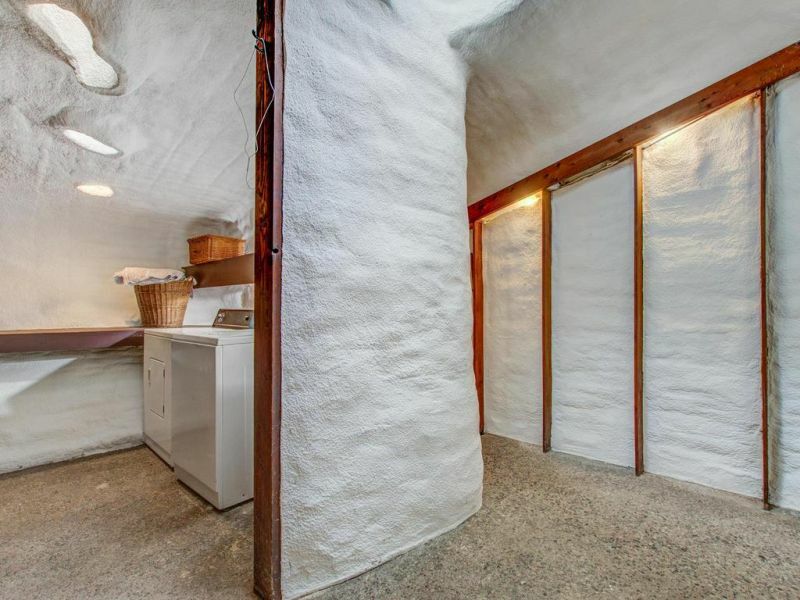 There are two large bedrooms with skylight, a kitchen, two baths, two car garages and a living room with a wood-burning fireplace. 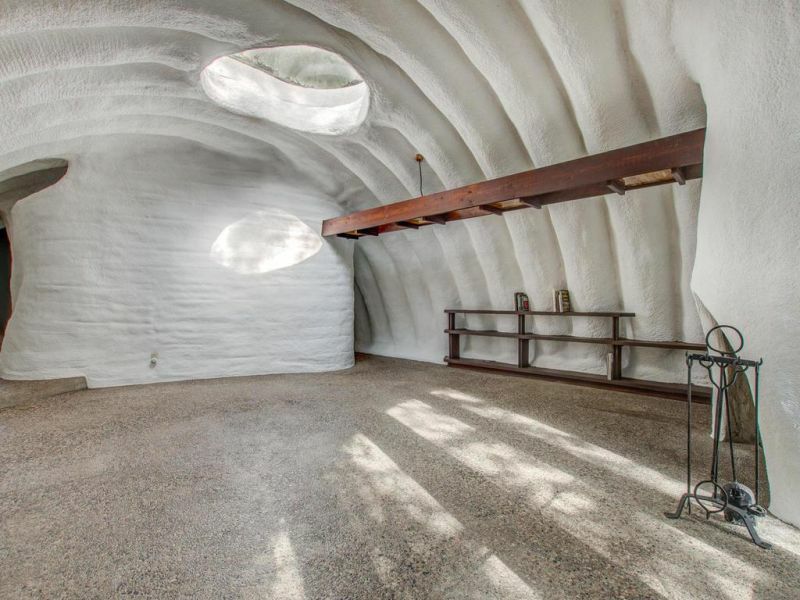 Interior walls are treated with hardened spray-foam insulation to maintain a cozy environment inside. 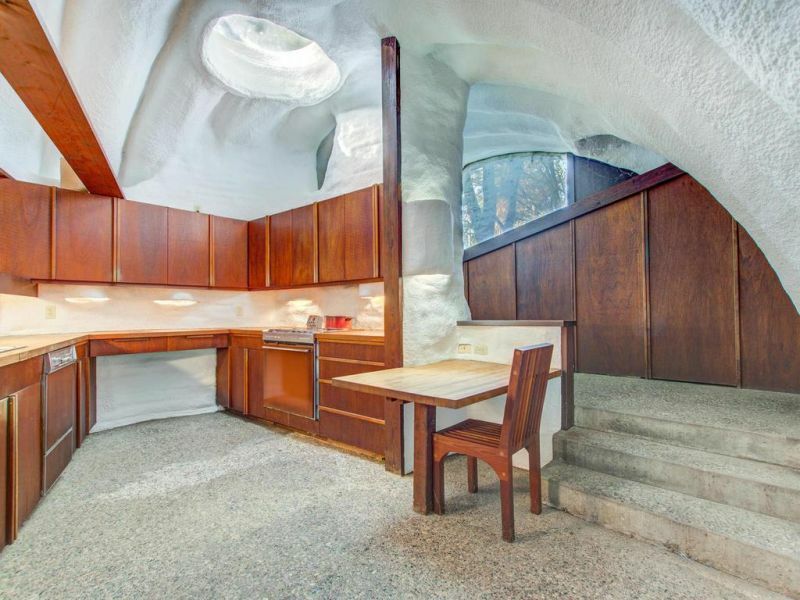 The kitchen features ‘70s mahogany cabinets and butcher-block countertops. 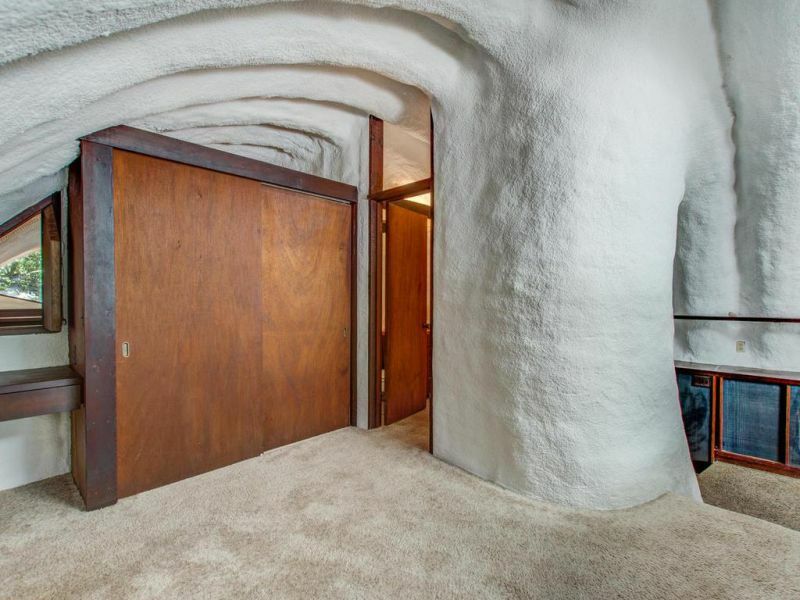 The living, kitchen and dining areas have aggregate concrete flooring, while bedrooms are carpeted. 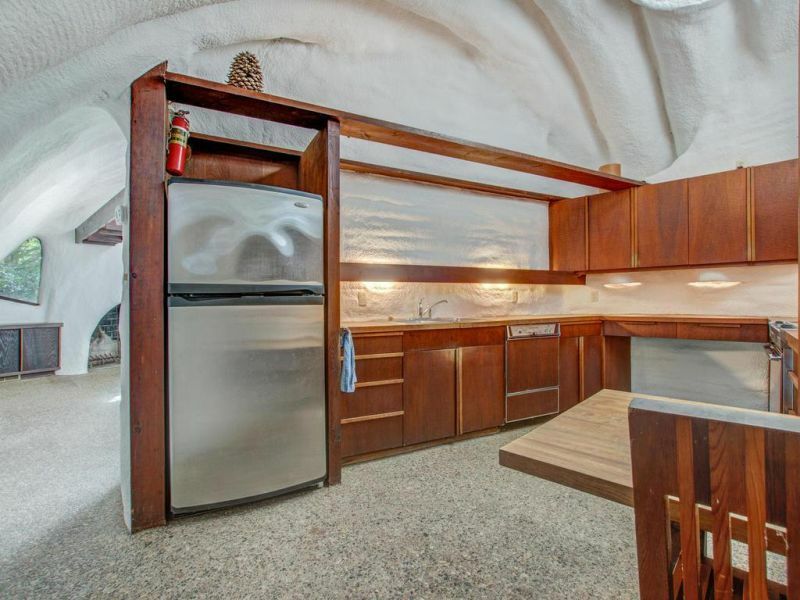 There are built-in furniture items, including benches, closets, and cabinets. 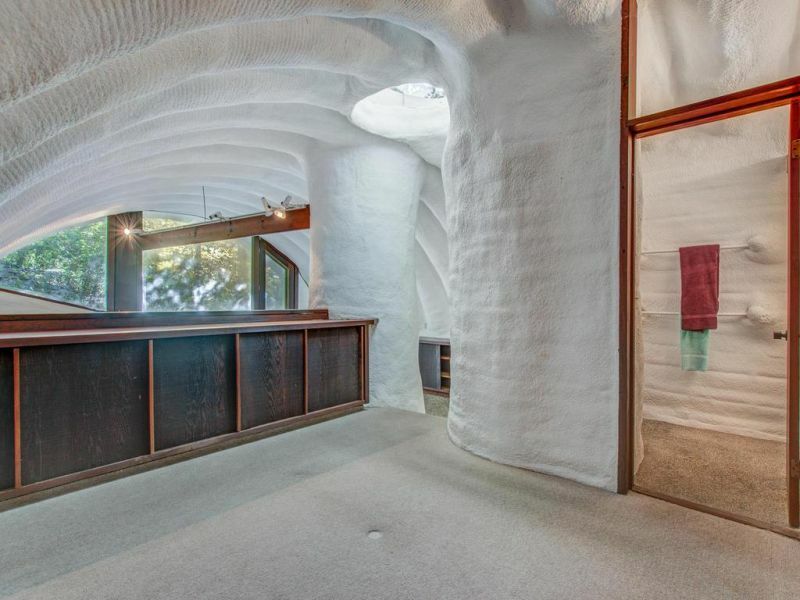 The curved walls and ceiling are interesting visuals of the interiors of this home. 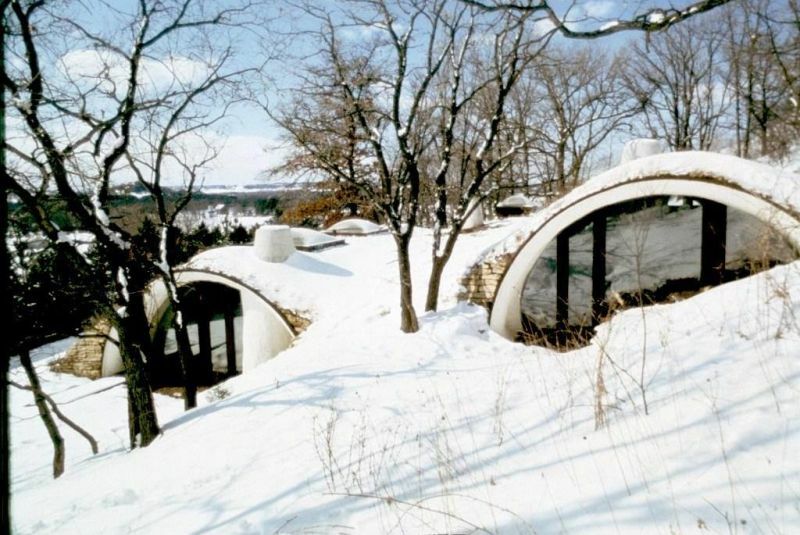 On the outside, the roof and walls are topped with soil and grasses, along with three odd-looking chimneys that seem to be protruding out of the ground. 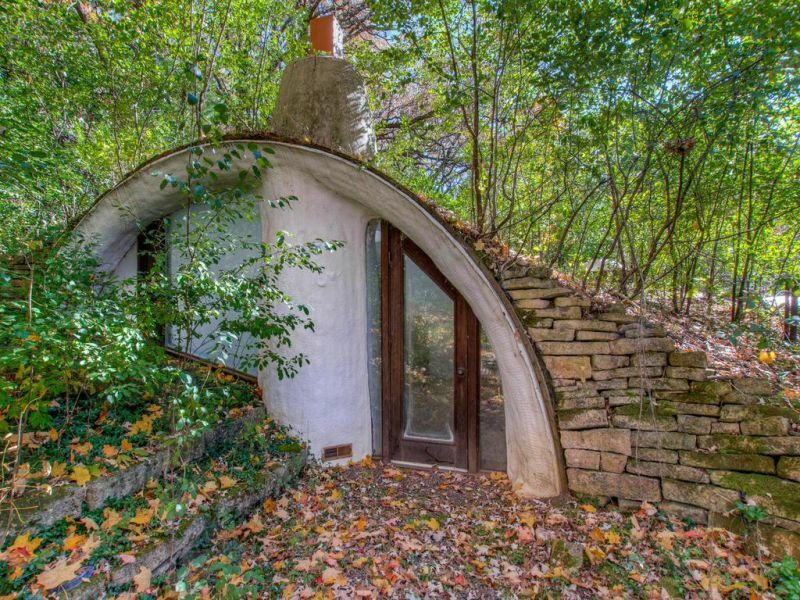 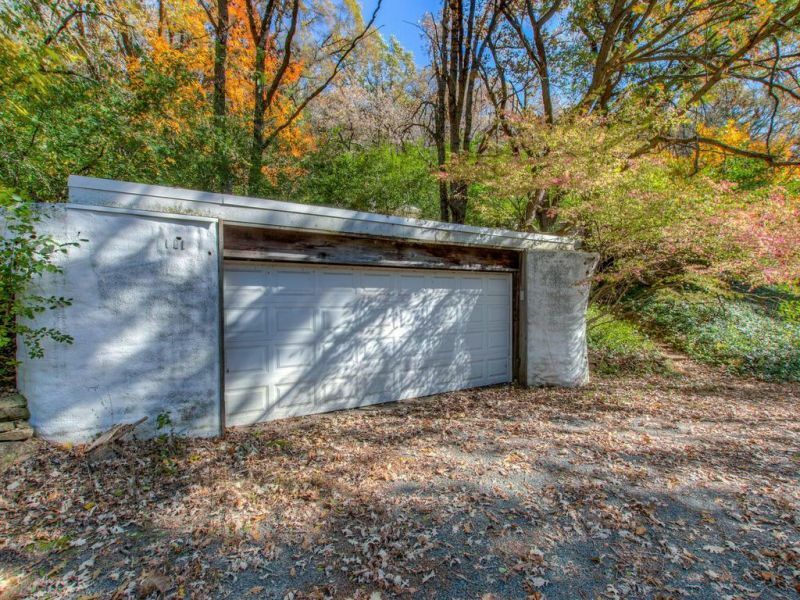 Built in 1972, Jacque Foust is the current owner of this earth berm house who is selling it for an estimated $285,000 at Edina Realty.